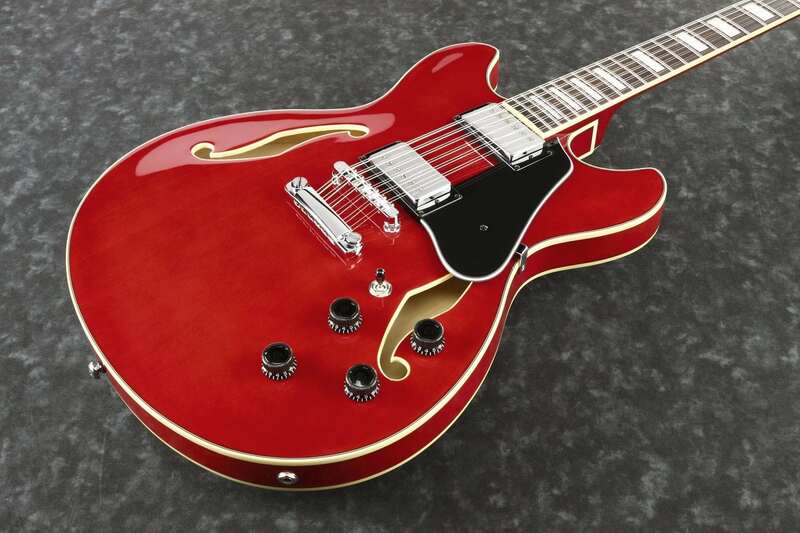 The AS73 is the kind of semi-hollow that can tackle just about any genre of music you throw at it. The pickups are mounted into a sustain block for increased sustain and feedback elimination while the 17th fret joint offers comfortable access to higher notes. The AS7312 has a 12-string construction for brighter and richer tone. 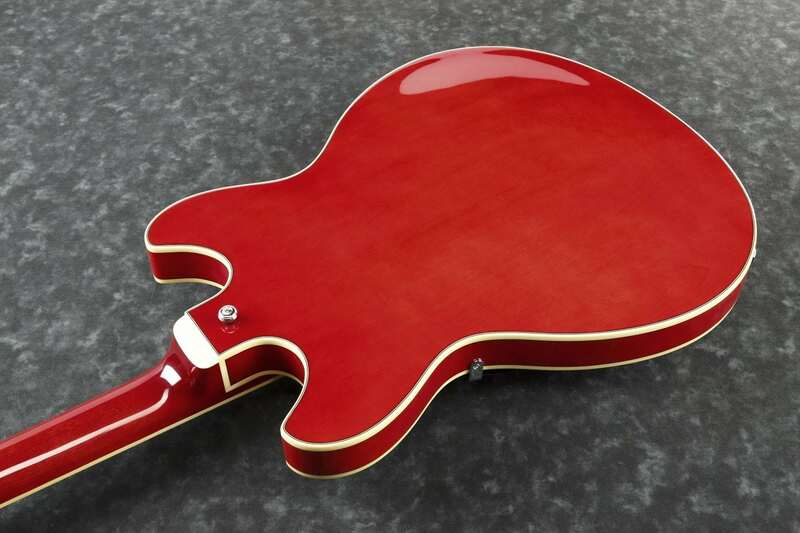 Under its Transparent Cherry Red finish, the AS7312 features a select-grade maple top, back, and sides. The fretboard is warm, bound Rosewood, which is contrasted by brilliant acrylic block inlays. The Artcore Mahogany neck has proven its reliability on thousands of Ibanez hollow and semi-hollow bodies throughout the years. Ibanez designed the Classic Elite pickups to give you big, full tone and well-balanced output.